This is a speech that I gave for our club’s International Speech Contest. I am afraid that it did not come out as neat as this text — about two thirds of the way through I lost track of where I was. But I came in second nontheless. My rage was volcanic; my despair, oceanic in its depth. I texted my last will and testament to my wife, then found a log in Whiting Ranch Wilderness Park where I could sit and map out the best way to cut my wrists. That was the whole plan. That is how I decided to end the pain. Alone. But then my cell phone rang. I picked it up. It was my psychiatrist. She asked “Are you all right?” I let her talk me into going to South Coast Medical Center. I agreed to put my mind – my brain – in a place where my opinions about its wellness could be measured against the opinions of trained outsiders. This was when my recovery began. I finally received the right diagnosis. But to understand what happened next, let me share with you a concept out of medical anthropology and biopsychosocial psychology, that of the disease versus the illness. Now I have a disease – it is called bipolar disorder. My brain is compromised. It’s something that I handle through medication. Around this kernel are other things like the anxiety I feel when I am in episode, the bad habits I follow as a way of coping. But it doesn’t end there. There’s also the effect that my disease and my handling of it has on my wife, on my friends, and my extended family. How my culture sees that disease, especially in negative sense of “stigma”. All of that plus the actual disease is my illness. 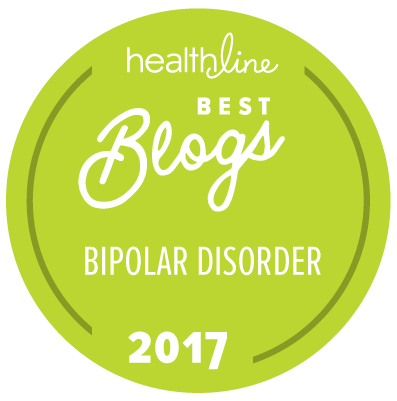 The first thing I had to learn – the thing that anyone with half a resolve to overcome bipolar disorder has to learn – was that while there are parts of having this illness that only I could fix, there are many more parts that I needed to get help to fix. I had to turn to others if I was to muddle my way through. One day, I decided to go to a support group. I was scared to death. Two women got into a fight! Then I looked around the room, took a deep breath, and said to myself “Everyone here is mentally ill. Including me.” I listened and I not only heard my story, but I heard of better ways to cope. I opened my mind to being helped by others, help that went beyond my secretive appointments with my psychiatrist and my therapist. Eventually I reached beyond the support group and participated, once more, in the world. It is the great lie of our time that we can do it all by ourselves, that we just unlock our hidden potential and become super humans. I know of no one in my experience – and you can’t name anyone – who has gotten where they are without help from others. It was the nature of my illness, in part, to believe that I did not need other people, that it was in my power to become a god. In psychiatry, that is called grandiosity. Eventually it leads to depression. My recovery depended on letting go of that delusion as soon as my medication and insight allowed. To get beyond my diagnosis, I had to trust others. And isn’t that what Toastmasters is all about? Yes, we put in the work to become better speakers by practicing in front of the mirror, but we come here every week to get beyond that poor, silly diagnosis of glossophobia – fear of public speaking. We come here to see our story play out before an audience. We come here to gain insight from others about our affliction and how we can overcome it. We come here to share our experience to help others. That is how we succeed. Together. I could not control my symptoms, overcome my anxiety for public speaking, or become a Mensch – a better human being – without engaging in a grand contract between me and the world. You are part of that world. I am part of yours. Together let us flourish.